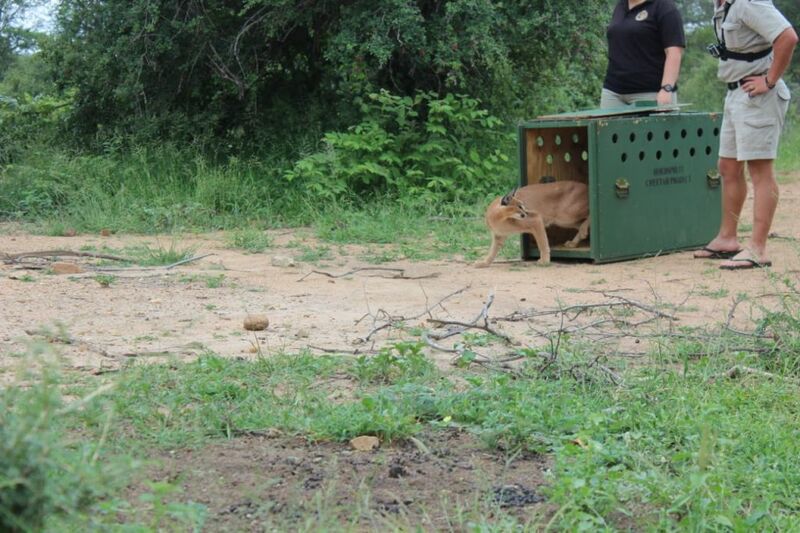 Last week, we released Pepper, the caracal onto the Kapama Private Game Reserve. Pepper the Caracal leaving the container to explore his new home. Pepper was a problem animal previously before he came to us. He arrived when he was still quite young and stayed with us until he was the the right age to be released in to a suitable environment. Pepper was released onto the private game reserve as it is a Big 5 game reserve and he would not be able to cause trouble for humans, and be seen as threat to livestock. We will update you with any news we receive about Pepper.